‘Micro-blogging’, ‘photo-sharing’, ‘online shopping’, ‘sharing economy’, ‘digital-savviness’ are the various characteristics that define the lifestyle of millennials. ‘Millennials’ refers to the demographic group generally comprising those born in the years between early 1980s and early 2000s. They are also regarded as Gen Y, whose parents were part of Generation X or the Baby Boomers. India’s population today consists of more than 400 million millennials. According to a report titled ‘Trend-setting millennials: Redefining the consumer story’ by consulting firm Deloitte India and Retailers Association of India, with a stunning 47% share of the working age population, millennials are the chief wage earners in India. They are also known as digital natives since they have grown up in the technology age. It is always about the location. Millennials believe in living life to the fullest. This means work hard but party harder. Home should be easily accessible from work as well as play. Residences located close to offices as well as malls and entertainment are always attractive. Transport conveniences also play a big part, so homes close to modes of transport are equally important. TIme saved in commuting is spent in networking and nurturing relationships. Developers today are designing integrated communities which offer various lifestyle amenities within the residential complex such as trendy cafes and restaurants, wellness spas and gyms, and recreational facilities. Another characteristic of integrated townships is proximity to social conveniences like educational institutions, medical facilities and employment centers. These features appeal to millennials who appreciate and desire good work-life balance. Our 120 acres integrated community at OMR, Chennai is an example of thoughtfully designed integrated lifespaces that offer convenience and comfort packaged in elegant luxury which appeals to this jet-set generation. Known as the ‘plugged-in’ generation, millennials are always hooked to their gadgets. This love for technology extends to the space they live in as well. Generation Y is big on home automation systems, sensors, video door phones, keycards and automated car parking. 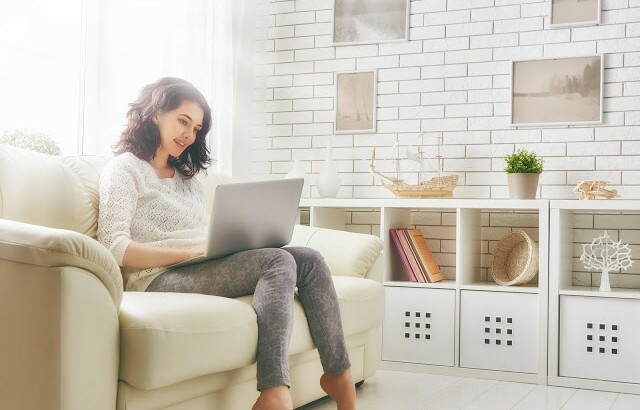 In addition to comfort and convenience, these tech-enabled amenities also provide a sense of safety and style to apartments, transforming them into a comfortable home. Among the many adjectives used to describe millennials and their lifestyle choices, is green generation. Millennials are very conscious about the environment and make green choices. These include reducing their carbon footprint, choosing sustainable travel options such as trains, bicycles and sharing cabs, and they also champion numerous green causes. Their love for the planet also extends to their homes which should adhere to green building norms, have more green and open spaces, as well as follow sustainable practices such as rainwater harvesting, sewage treatment, waste recycling and solar panels among other such solutions. Contrary to their ‘live-for-the-moment’ image, millennials care about their families, friends, society, wellness and the world they live in. This is clearly visible in the choices they make which are sustainable and altruistic. Millennials have grown up in an age of technology, globalisation and economic disruption. This gives them a unique perspective and personality which differentiates from the generations before them. Millennials are the future of the country and will determine the direction we collectively take. Designing, developing and marketing homes to this cohort of young people is an intrinsic part of the House of Hiranandani.